And we're getting festive again with some more baking! (I promise this will be the last one for a while). I know, I know, I'm a bad influence. It's literally a biscuit of baked sugar- but it just tastes so dang good! These babies were literally gone in two days in my house! Let's see if yours can last longer! ; ) This recipe would be perfect for making with your little one and getting creative with your icing, or maybe you're just a big baby like me! 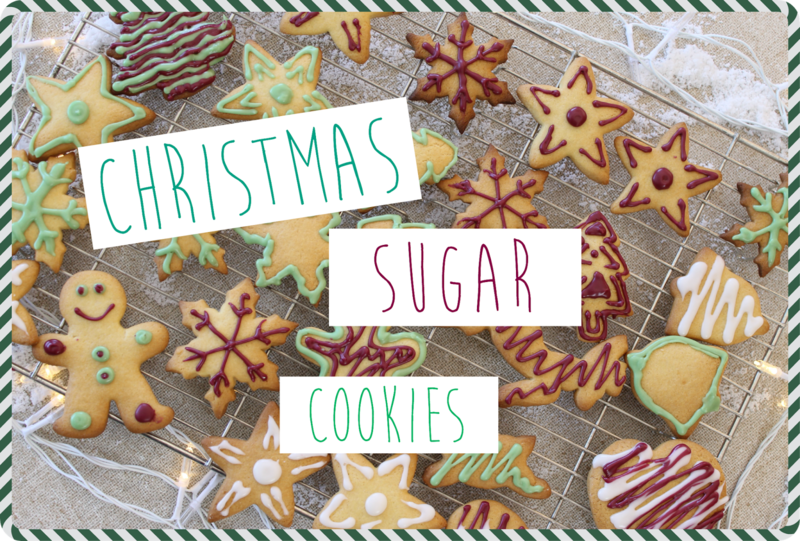 If you're looking for a hot drink to accompany these cookies, or maybe gingerbread is more your thing- make sure you give these a try! 1. In a large bowl, cream together the butter and sugar until light and fluffy. 3. Once combined, add the flour mix in thirds and fold until it creates a dough. 4. Split dough in half, wrap in cling film and refrigerate for a few hours or overnight. 5. Once your dough is chilled and ready to be rolled, preheat your oven to 180C on fan assist. 6. Roll out your dough on a lightly floured surface and roll to about 1/2 cm thickness. Place your cookies on lined trays of greaseproof paper and bake for 8 minutes or until starting to brown at the edges. Cool completely on a wire rack before icing. 7. Mix together the icing sugar, vanilla and food colouring. Pipe onto cookies. Leave me a comment and tell me what's your favourite way to get into the Christmas spirit! Thanks for sharing the recipe to this, as we've already discussed on Twitter, I've been pretty slack with the Christmas baking this year.. although I got around to some chocolate yulelogging yesterday (yay)! :) Your festive cookie creations look fantastic and I love the photography, as always!! Yay for Xmas baking! Mmm Yule Log sounds like such a fun time! Look forward to seeing the pics on twitter and instagram! Thanks gorgeous!